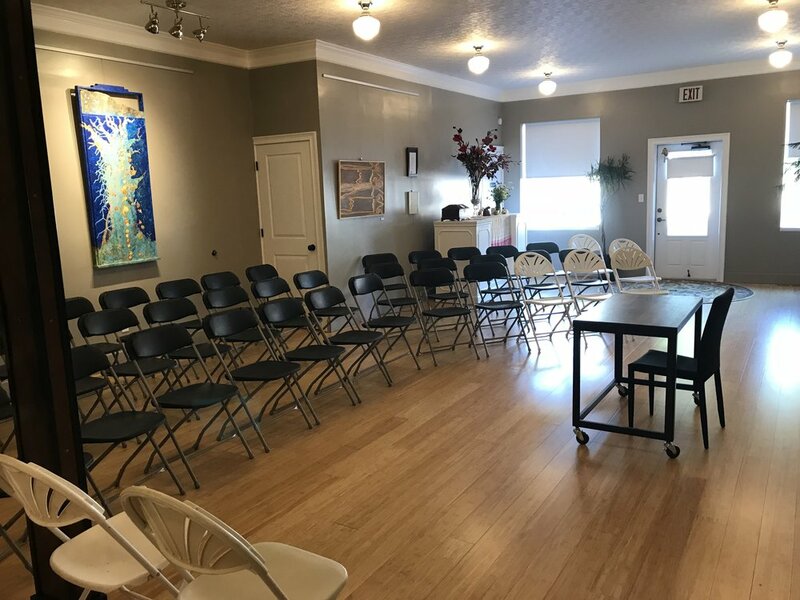 As I was setting up the chairs for our Senior Center “Underground Railroad” (Osher Lifelong Learning Institute) class I contemplated the beauty of continuing education. So much of our education consists of required classes we often begrudgingly take in order to get a piece of paper that signifies we are competent enough to get a job in our desired field. That doesn’t seem nearly as exciting as continuing to learn (for fun!) in our older adult years. We will be at max capacity for our first class this afternoon! It’s not that learning has to happen in a "classroom" setting, but it is interesting how many of us are drawn back - I know I am! photo: getting the Hammert Building ready for our first class. we will offer 3 per year.